This light marks the entrance into Edgartown's scenic harbor. 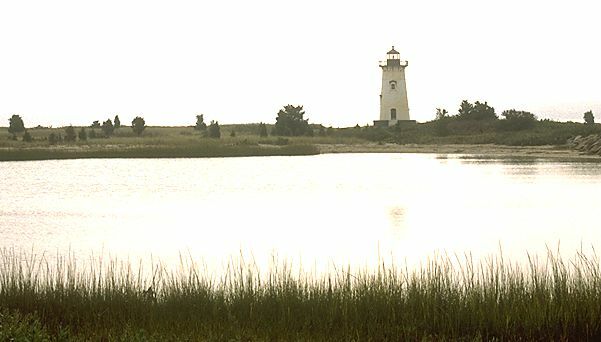 Done in by the 1938 hurricane, the original 1828 light was ordered to be replaced with a steel beacon tower. 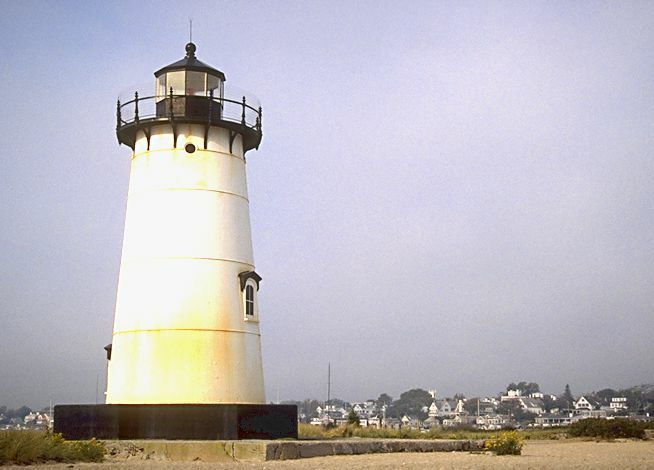 Local residents objected to losing an historic light, so an 1875 tower was brought by barge from Ipswich, adding to the Massachusetts history of shuffling lights from place to place. If I could visit but one location on Cape Cod, I might choose Edgartown. It retains an atmosphere of the prosperous colonial whaling center. It is a town for walking and breathing deeply the air of another time. There are shops, of course, and the restaurants and pubs. 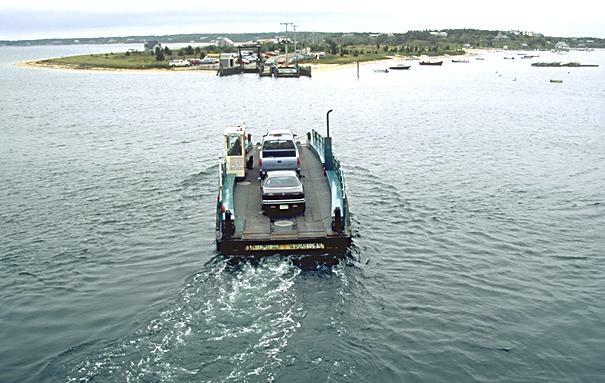 And there is the Chappy Ferry, that labors to move a few cars at a time to Chappaquidick Island.